What began as a small, family-operated race team in Hallettsville, Texas, Turner Scott Motorsports has evolved into one of the premier, multi-team operations in the NASCAR Nationwide Series (NNS), NASCAR Camping World Truck Series (NCWTS) and the NASCAR K&N Pro Series East (NKNPSE). Turner Scott Motorsports co-owner, Steve Turner, has had a long-lived passion for racing of all kinds. That passion was not lost on his children, who grew up with a strong desire to compete on the track. In 1999, the father of four started his own race team to allow his daughters the opportunity to do what they loved. It was then, that Turner Motorsports was born. Under her father’s guidance, eldest daughter, Charlie, began competing on dirt tracks around their hometown. Eventually, the transition was made to asphalt and in 2004, youngest daughter Kris, jumped behind the wheel of a Bandolero car, winning the 2005 Winter Series Championship at Texas Motor Speedway. As their family-owned team grew, both daughters found a love for the business side of racing and eventually hung up their driving shoes. Searching for new, young talent, Turner tapped Texas teenager, James Buescher, to drive his ASA Late Model entry in 2006. That year, Buescher proved his talents to his new owner, capturing the championship for Turner Motorsports, as well as the Most Popular Driver and Rookie of the Year awards. Steve Turner was also named Crew Chief of the Year. In 2007, Turner Motorsports made the jump into the USARacing Pro Cup Series with Buescher behind the wheel of the No. 84s machine. In keeping with the rapid growth of the organization, Turner Motorsports moved their primary race shop from Halletsville, Texas to Mooresville, N.C. in 2009. 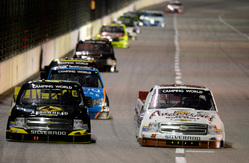 Testing the waters of NCWTS competition, the team made their debut in the series at Texas Motor Speedway. Realizing not only could they compete in the series, they had the potential to be extremely successful, Turner turned his focus to racing in the NCWTS. Within a couple of months, Turner added a second truck to his stable by signing a multi-year deal with 15-time American Motocross Association Champion, Ricky Carmichael. In 2010, Turner Motorsports fielded two full-time NCWTS entries with Carmichael and Buescher driving the No. 4 Monster Energy Silverado and the No. 31 Wolfpack Rentals Silverado, respectively. 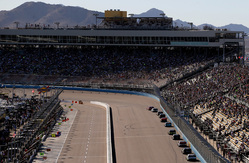 The team proved they were a force to be reckoned with bringing home a collective nine top-five and 20 top-10 finishes in their first full year of NASCAR competition. In September of 2010, Turner saw an opportunity to expand his operation even further and took a huge step by acquiring select assets of Braun Racing, bringing the four-car NNS team under the Turner Motorsports banner. Turner Motorsports experienced tremendous success in 2011 with three NNS wins and with James Buescher making a strong run at the NCWTS championship title. In 2012, the culmination of years of hard work came together in one magical season. It began with James Buescher taking the checkered flag in the season opening NASCAR Nationwide Series race at Daytona International Speedway, and ended with him on stage in Miami Beach, Fla. accepting the championship trophy as Turner Scott Motorsportsfirst crowned NASCAR Camping World Truck Series Champion. Following the success of 2013 the team expanded, adding Harry Scott Jr. as co-owner and changing its name to Turner Scott Motorsports. The team expanded to three full time NNS teams with Justin Allgaier, Nelson Piquet Jr. and rising star Kyle Larson. 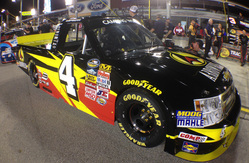 And also fielded three full time NCWTS teams with Buescher, newcomer Jeb Burton and Brazilian native Miguel Paludo. TSM also made a commitment to cultivating young, up and coming drivers by creating a NKNEPS operation, fielding five teams that included NASCAR K&N Pro Series West defending champion Dylan Kwasniewski. In all, the newly branded Turner Scott Motorsports visited victory lane a total of 10 times in 2013, with 16 poles, 38 top-5’s and 110 top-10’s. The team also added a second championship trophy to the mantle, as Kwasniewski become the only driver in NASCAR history to win title in both the K&N Pro Series East and West.